Dania Beach is found in Broward County, Florida, very close to the Miami area. The city has a population of about 31,000 residents and it's a part of the South Florida Metro area, which has a population of about 5.6 million residents. The city is home to very popular beaches, along with the Dania Jai Alai and Casino and two amusement parks. It's also home to the IGFA Fishing Hall of Fame & Museum. These attractions bring many new visitors to the area, along with the many other attractions found in nearby Miami. Mixing millions of visitors a year with a 5.6 million population in South Florida creates dangerous driving conditions. Many different driving styles are found here and visitors bring even more variety to the mix. If you've received a traffic citation in Dania Beach and you're unhappy about it, consider these statistics. The Dania Beach area is very close to the intersection of Interstate 595 and Interstate 95, which is a very busy intersection in the area. I-95 is known as the deadliest highway in the United States and runs directly through Dania Beach. Broward County averages more than 26,000 traffic accidents every year with about 200 fatalities each year. About 1,700 traffic accidents in Broward County every year are alcohol related. Traffic accidents in Dania Beach and Broward County are on the rise. If the law enforcement officers in the Dania Beach area didn't enforce the rules, these statistics would be far worse. More than 195,000 traffic violations were issued to drivers in Broward County throughout 2015. This included nearly 96,000 speeding tickets, over 18,000 tickets for reckless/careless driving and more than 15,000 tickets for running a stop light or stop sign. These are serious violations and make the roadways rather dangerous in Dania Beach. 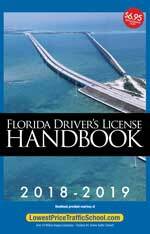 As a resident of Florida, you may have your driver's license suspended if you receive too many traffic citations in a one year, 18 month or 3 year period. Each violation comes along with a point total from 3 to 6 points. If you receive 12 points in a year, you may have your license suspended for 30 days. Drivers receiving 18 points in 18 months may lose their license for 90 days. If you continue to disobey the laws and get 24 points in 3 years, you will lose your license for an entire year. Any license suspension will cause you to pay reinstatement fees, along with the fines for the tickets you received. If you happen to drive on a suspended license and you get caught, you may spend up to 90 days in jail and pay an additional $500 in fines. As you can see, it only takes a few tickets to end up with a suspended license. 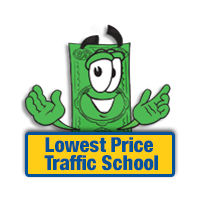 Points on your license can be avoided by enrolling in online traffic school. First, pay your ticket with the clerk of the court. Second, inform the clerk of the court you plan to enroll in traffic school. Third, enroll online, take the course and pass the test. Finally, receive your certificate of completion and turn it into the clerk of the court. If you follow these steps, you will be able to keep points from going on your license and keep your insurance rates from going up. You may not be eligible for traffic school if you've already taken the basic driver improvement course in the past year or five or more times in your lifetime. However, if you just received your first ticket or you've never attended traffic school, you're eligible to use it to avoid points on your license. You're also eligible if it has been more than 12 months since the last time you took the course and you haven't taken it five times. The Broward County Clerk of the Court handles all traffic tickets handed out by any law enforcement agency in Dania Beach, Florida. Whether you need to pay your ticket, inform the clerk of your enrollment in traffic school or you need information about your ticket, the clerk of the court will handle it. You can find out more about the clerk of the court in Broward County by visiting the website.